Don’t fall victim to the insurance company’s unfair tactics. Allow a Tacoma motorcycle crash lawyer to help you as you pursue compensation. As a motorcyclist, you’re likely aware of the dangers you face on the road. Without the physical barrier of a car protecting you, the potential for serious injuries is quite high. And in the event that you do suffer one of these crashes, managing the resulting medical bills and other hardships can be too much to handle on your own. 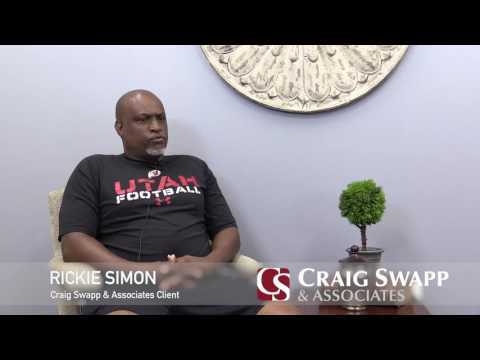 Our team at Craig Swapp & Associates is here to help motorcycle crash victims like you. With the help of a Tacoma motorcycle accident lawyer, you can file a claim against the liable party and secure the compensation you deserve. Unfortunately, many people attempt to take on Tacoma motorcycle accident claims on their own. This can lead to disastrous results. That’s because insurance companies are primarily concerned with protecting their bottom line, so they may resort to less-than-moral tactics to achieve this goal. Forgoing legal representation leaves you vulnerable to these tactics, which could mean you’re not given the compensation you rightfully deserve. For example, there’s an unfair stereotype out there that motorcyclists are dangerous, reckless, and inherently lawless. This narrative is far from true, but that doesn’t stop insurance companies from relying on the notion to achieve their goal of mitigating their responsibility to pay you. Insurers may also try to get you to give a recorded statement, in which you could accidentally make yourself seem liable for your crash. But working with a motorcycle accident lawyer in Tacoma can protect you from such outcomes. To start, we will handle communicating with the insurers on your behalf. This will reduce the potential for you accidentally saying or doing the wrong thing. Furthermore, we will be knowledgeable of your rights as a policyholder. We will use this knowledge to make sure the insurance company doesn’t get away with pressuring you into doing something you don’t want to do or accepting a settlement that is of far less value than what your claim is actually worth. Next, your Tacoma motorcycle crash attorney will work to prove to the insurance company or negligent party the severity of your injuries and why you deserve compensation. We may rely on evidence like witness statements, photographs from the scene of the crash, and medical documentation from your post-collision examination to prove the extent of your damages. Once the extent of your injuries has been documented and analyzed, your Tacoma motorcycle wreck lawyer will begin seeking the necessary damages in your claim to ensure your health and financial security are protected. An experienced attorney may name damages you would not have otherwise thought to consider. If you’re a motorcycle rider who was recently injured in a crash that wasn’t your fault, our team at Craig Swapp & Associates wants you to know that you don’t have to manage the fallout on your own. You have every right to file a claim against the liable party, and we’re here to help. When you work with a qualified attorney, you’ll have the advantage of aggressive representation and in-depth legal knowledge. That way, you stand a strong chance of securing a favorable outcome. Don’t hesitate to get in touch with a Tacoma motorcycle accident lawyer at our firm to get started on your claim for compensation. To begin, give our office a call directly at 1-800-404-9000 or fill out our online contact form at the bottom of the page.